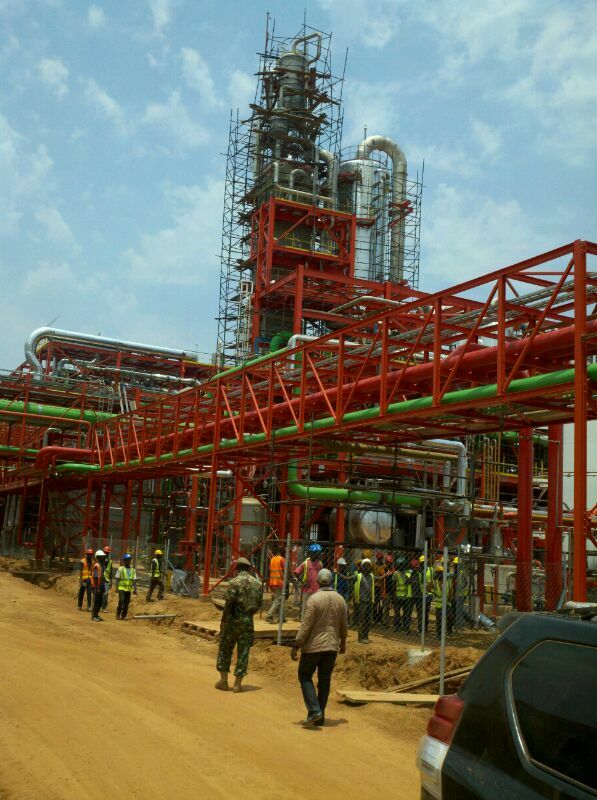 Sierra Leone continues to progress in a number of important developmental areas. President Ernest Bai Koroma’s incisive leadership has put Sierra Leone on the international spotlight, based on the strength of the country’s economic growth and progress. The President is making commendable progress in the midst of great challenges. And what lies ahead, based on the components of the ‘Prosperity Agenda’ for Sierra Leone’s development, is giving hope for a brighter and prosperous Sierra Leone. The successes and challenges are a mixed bag, shared by other players, in the President’s quest for a brighter nation. In this drive, the role of the media, civil society and political parties is crucial. The Sierra Leone Embassy in China is no exception to this fact. This is because a nation’s growth depends on many factors including her bilateral and multilateral relations with other countries. 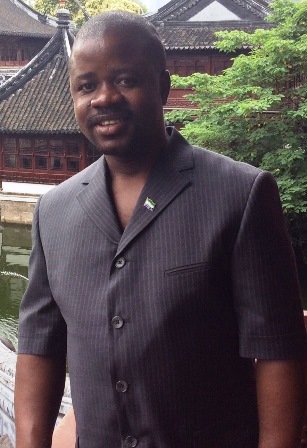 The Embassy in China is playing a strategic role in support of Sierra Leone’s development efforts. China’s prominence in the global economy, peace and politics is taking centre stage, but so too is its support for Africa’s development, more importantly within the framework of the Forum on China-Africa Cooperation (FOCAC). Political leaders in the various African Embassies – Ambassadors, continue to provide the required direction aimed at ensuring the furtherance of the country’s development. (Photo: Pa Baimba Sesay). The leadership of the Sierra Leone Embassy in China has been working assiduously in furtherance of the Sino-African friendship and development. Last week, the Sierra Leone Embassy opened a Commercial Section in Shanghai, the world’s busiest Container Port and a major commercial hub in China. It is a recognized global Financial Centre. Opening a Commercial Section in Shanghai is aimed at reaching greater numbers of worthy Private Sector Investment in the areas of trade, commerce and tourism and to attract greater public as well as private capital ﬂows from China into Sierra Leone. It is also indicative of the Embassy’s desire and commitment to expand and build upon the long and very cordial relationship that Sierra Leone has with China. Without doubt and by all standards, China is a great country. With its 23 very economically viable Provinces, 4 efficiently managed autonomous regions and 4 mega municipalities, the Embassy would therefore need a team of people with the requisite caliber to reach out to potential investors. As a Mission, it is our commitment to ensure that we explore all potential investment opportunities: tourism, real estate development, water, electricity, roads and infrastructure, transportation, medical and health, communications, ports, railways, telecommunications, and marine resources. By so doing, the Embassy lends total support to the President’s trajectory for a prosperous country. 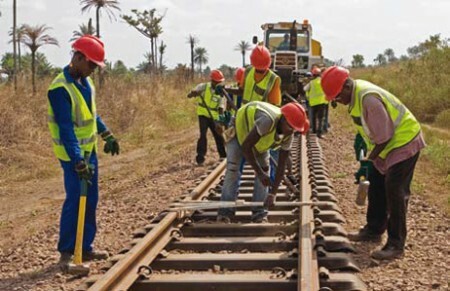 Sierra Leone has witnessed an unprecedented level of growth, in terms of infrastructure, the economy, health and in a host of other areas. However, a plethora of challenges remains. This is of course not a surprise given Sierra Leone’s low base position when President Koroma took office in 2007. That notwithstanding, as Head of State and Chief Driver of our country’s development vehicle, the visionary President embarked upon building a better Sierra Leone. 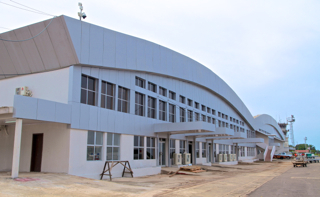 (Photo: New look – Lungi International Airport). It is the vision of the President for Sierra Leone to become a middle-income country following the achievements of the Agenda for Change and the road map of the Agenda for Prosperity. Through the ‘Agenda for Change’, the government was able to give a facelift to the country’s infrastructure, which was in a melancholic state. Through the ‘Agenda for Change’, the President led the country to the promotion of socio-economic rights, concurrently promoting macroeconomic growth and stepping up investment in public services, infrastructure and other priority areas. There has been an irresistible paradigm shift, which witnessed Sierra Leone moving away from total and complete dependence on donor support. Under the current Government, there has been an increase in revenue collection by the National Revenue Authority. The ‘change trajectory’ for national development has placed the private sector at the heart of the country’s transformative agenda; improving investment climate and encouraging the expansion and diversiﬁcation of exports. Tackling corruption is a problem that requires sincerity and good judgment of leadership. The new Act gave strength and complete prosecutorial powers to the Anti-Corruption Commission. The scope of corruption offenses was broadened. At the same time, provision was made for the protection of whistle-blowers. It became mandatory for all public and civil servants to declare their assets. Today, we see how the president has kept to his promise in this direction. Indeed, the president’s desire is to leave a legacy that is based on a Sierra Leone that is prosperous, where there is private sector-led growth, producing value-adding products, and providing Jobs for our people. It is President Koroma’s wish for the country to become a model of responsible and efficient natural resource exploitation, and above all “a stable, export-led economy, based on sound macroeconomic fundamentals”. 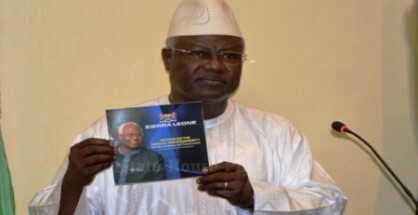 These are the achievable desires of President Ernest Bai Koroma, who is now calling on all Sierra Leoneans to join him, in rebranding the country.